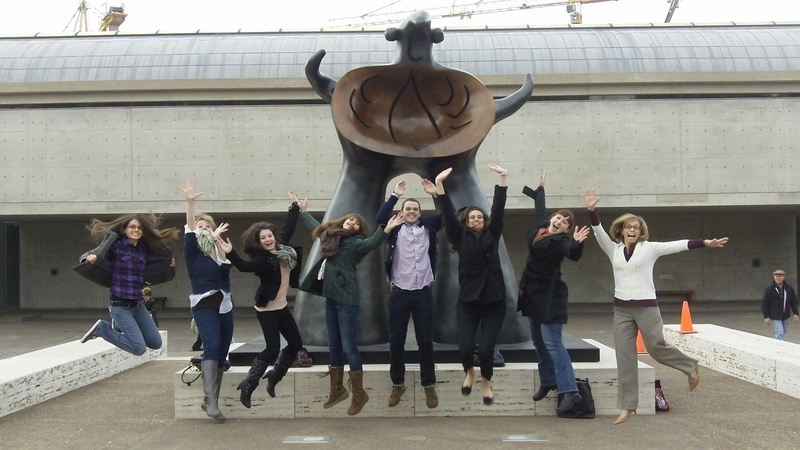 Last Friday, our McDermott Interns took their annual trip to Fort Worth to get acquainted with our neighboring art institutions and explore all the wonderful exhibitions they currently have on view. We enjoyed John Marin at the Carter, Caravaggio at the Kimbell, and said hello to the DMA’s own Diebenkorn at The Modern. It was an exhausting artful day! 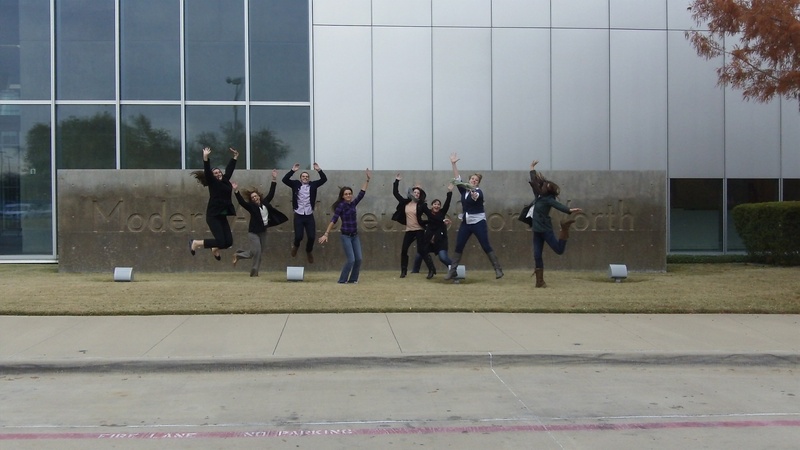 Inspired by our previous post and Jumping in Art Museums, we decided to do a little jumping of our own in Fort Worth. Enjoy! The DMA’s newest exhibition, Big New Field: Artists in the Cowboys Stadium Art Program, opened this past Sunday. In celebration of Super Bowl XLV, to be held in Dallas at the new Cowboys Stadium, this show highlights nineteen artists from the Cowboys Stadium Art Program. The Program is the initiative of Gene and Jerry Jones (Dallas Cowboys owner) to incorporate contemporary art into the innovative and unique space of the recently constructed stadium. They hope to create a dialogue between art and sport through the inclusion of large scale and, at times, monumental works by artists from Texas and around the world. The Museum’s very own Charlie Wylie (The Lupe Murchison Curator of Contemporary Art), along with Chief Curator of the Modern Art Museum of Fort Worth Michael Auping and Texas-based collectors Gayle Stoffel and Howard Rachofsky, served on the advisory committee for the Program. It is this joint passion for and advocacy of contemporary art that has brought works by many of the artists represented at the Stadium to the walls of the DMA. Whether examining Annette Lawrence’s Free Paper, constructed of cut and torn strips of “junk mail”, or contemplating Wayne Gonzales’s Carousel Club, visitors are sure to be impacted by these phenomenal works. 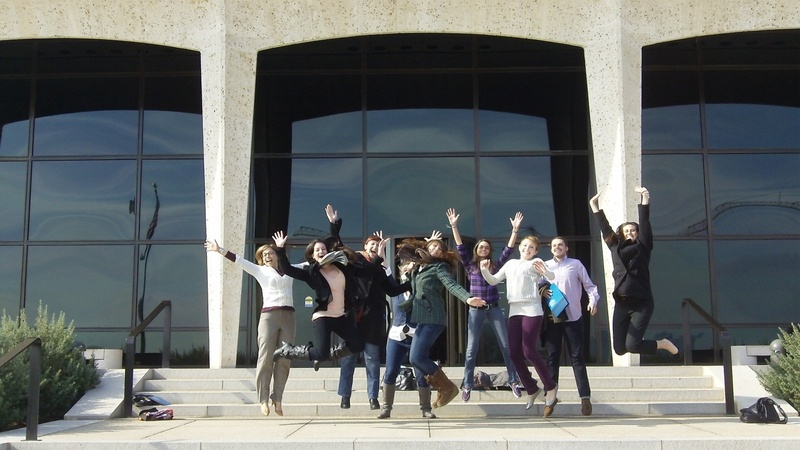 Big New Field: Artists in the Cowboys Stadium Art Program runs through February 20, 2011.